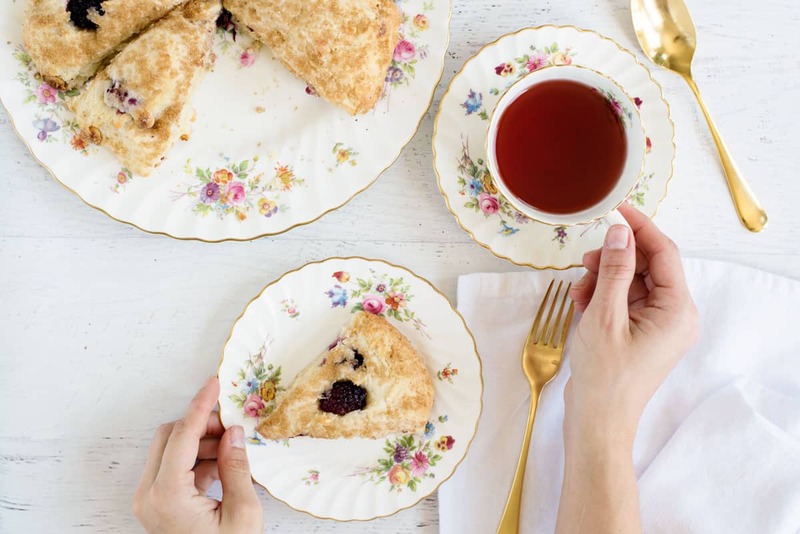 Gibson Mansion’s famous scone recipe. In just 10 minutes, you can have light & moist scones with the mix-ins of your choice. I used blackberries and white chocolate chips. 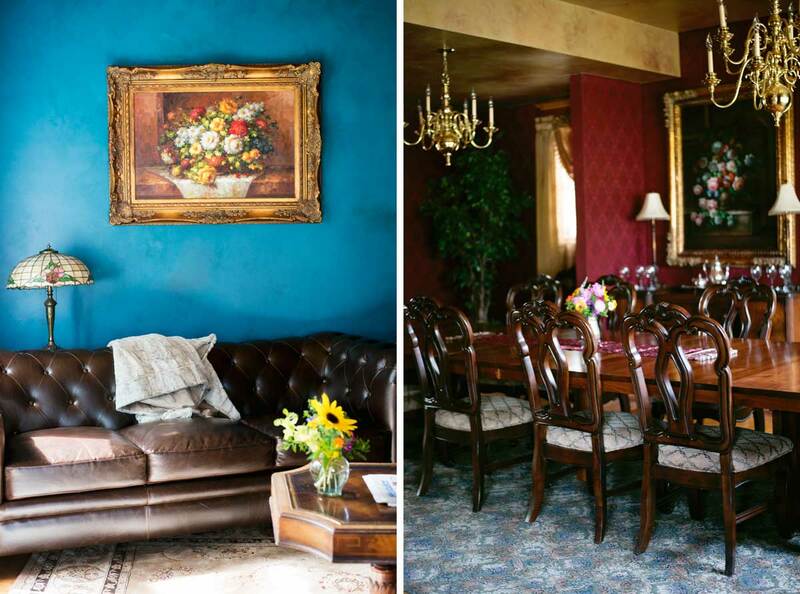 One of the highlights of our Montana trip was the two nights we stayed at Gibson Mansion Bed & Breakfast in Missoula. 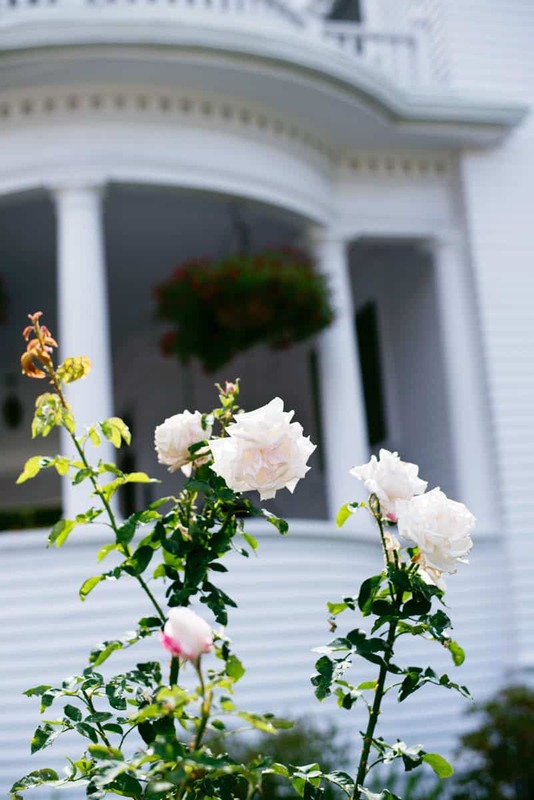 Built in 1903, Gibson Mansion is beautifully-decorated and carefully restored. It’s truly a gorgeous and comfortable place. It was the perfect place to start to an amazing trip. Driving up to the mansion, I was struck by how beautiful the exterior was, and inside was even prettier! 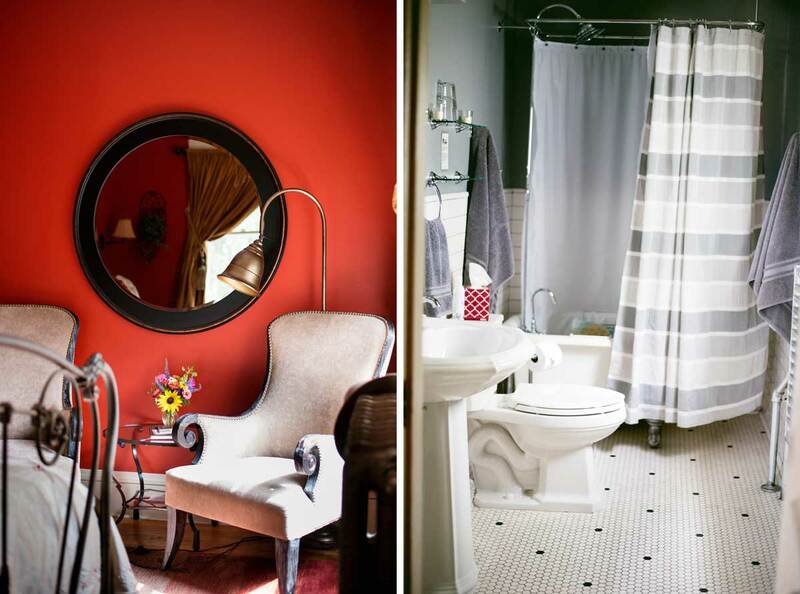 The furniture and decor leant to the Victorian-era vibes but were not garish or overdone. The guest rooms also feel like you are being transported to another era, but still have all of the modern luxuries that you’d expect with a 5-star experience. 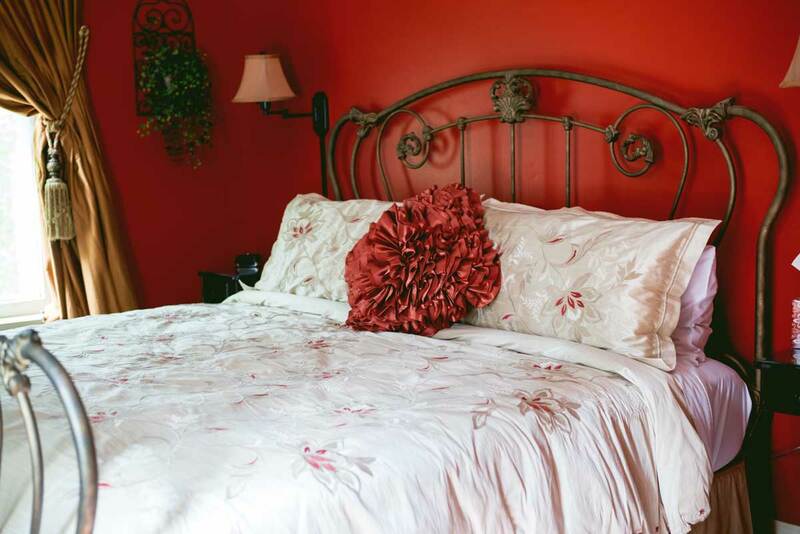 Our hosts, Tom & Nancy Malikie, really thought of everything, from soft sheets, to fresh flowers in the room. One of the highlights of a stay at Gibson Mansion is Tom’s gourmet cooking. Breakfast has been elevated into an art form, with everything from perfectly-risen soufflés to fresh fruit. The highlight though, is Tom’s scones. Throw out the notion that scones have to be dry and tasteless. These are completely different from any scone I’ve ever had. They are fluffy and moist, and perfectly sweet. The scones have become almost legendary. The recipe is so frequently requested that Tom keeps a stack of recipes cards on hand to give to guests. In addition, almost every 5-star review (and they only have five-star reviews) for Gibson Mansion on Yelp mentions the scones. Luckily, Tom has allowed me to share his amazing scone recipe with all of you. It’s easily customizable for whatever you’re in the mood for. For this batch, I added blackberries and white chocolate chips. 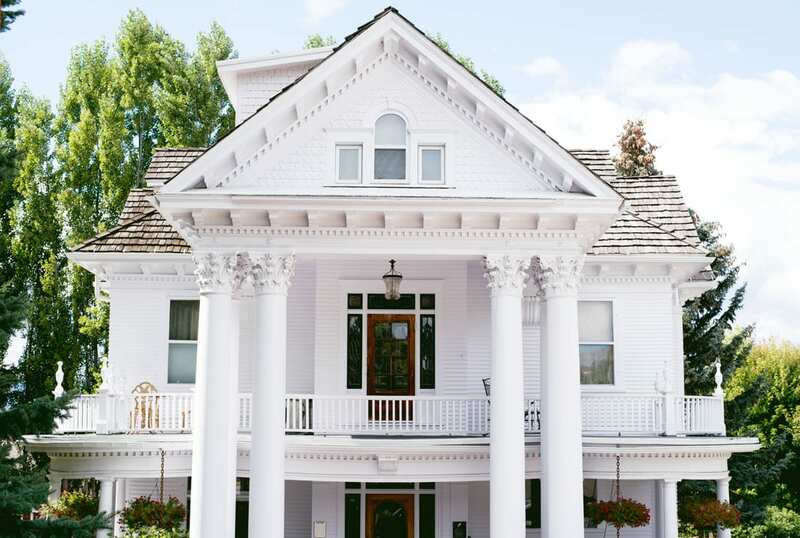 If you’re looking for a place to stay in Missoula, Montana, you must check out Gibson Mansion. 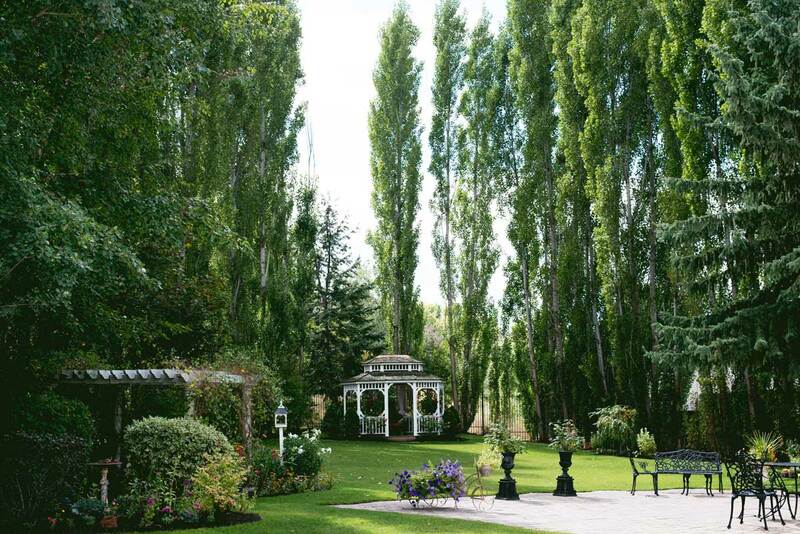 It’s stunning, inside and out, and Nancy’s gardens are the perfect setting for an outdoor wedding. Since taking over in 2001, the Malikie’s have completely transformed the mansion. 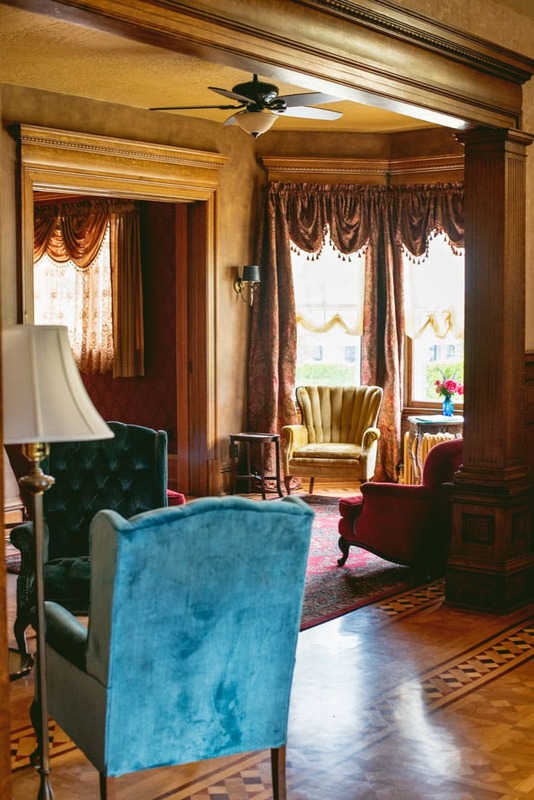 Everything is documented in a scrapbook that you should page through if you stay at Gibson Mansion. The work that they have done gutting rooms, moving walls, redoing floors and finding the perfect furniture is incredible. 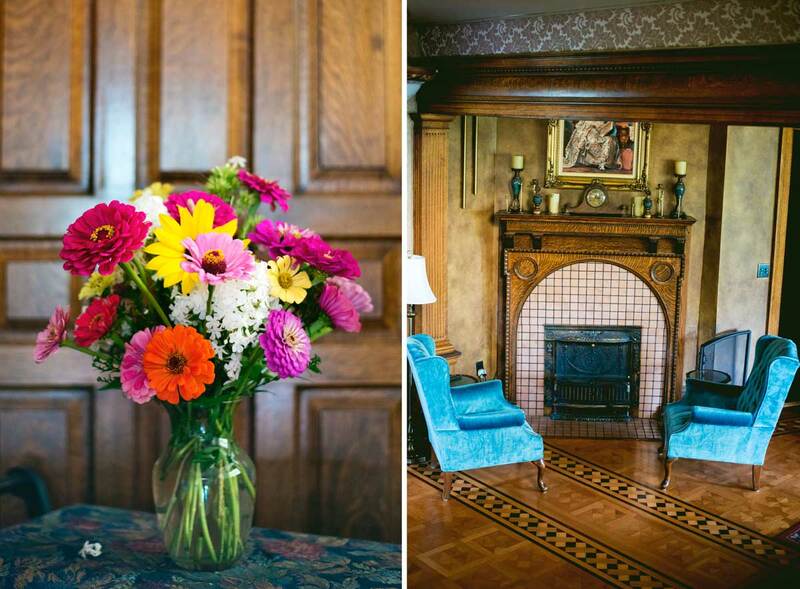 Gibson Mansion feels like a true labor of love and Tom and Nancy are the perfect hosts. 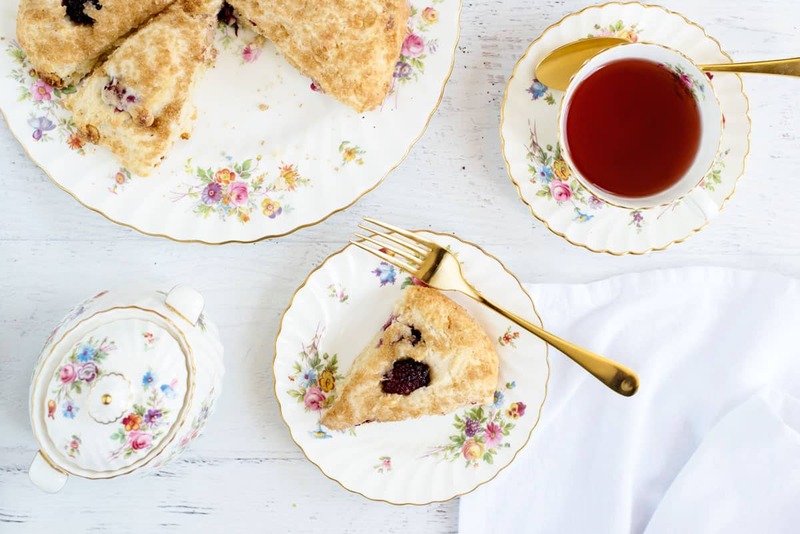 Gibson Mansion’s famous scone recipe. 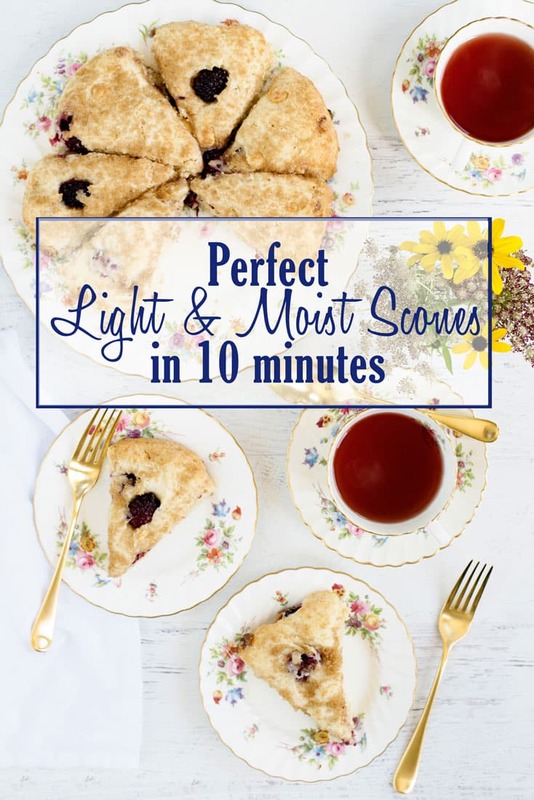 In just 10 minutes you can have perfect scones with the mix-ins of your choice. I used blackberry and white chocolate. Preheat convection oven (if you have it) to 375° F.
Mix flour, sugar, baking powder and butter in an electric mixer on low until combined. The mixture should resemble coarse oatmeal. Add milk and mix until blended. Fold in fruit and chocolate chips, if using. Turn dough out onto a floured surface and form into a 1″ thick round. Sprinkle generously with raw sugar. Cut into 8 wedges and place on baking sheet. Bake for 18-23 minutes, until golden brown. They are! You should definitely make a batch to try them for yourself! Hooray! Thanks so much for stopping by Trish! I’ll be sharing some photos from your place soon! Ahhh ! I have been waiting for these to come up! Hooray! Let me know how if goes and makes sure to tag me if you share them on social media! Do you think you can you make the mix the night before and bake in the morning ? You could try it, but my suspicion is they won’t turn out as well. They are pretty quick to make up the day of, but to speed things up you could measure out the dry ingredients into your mixing bowl the night before. Perfect. Just perfect ! Thank you so much ! No prob! Glad you liked it! 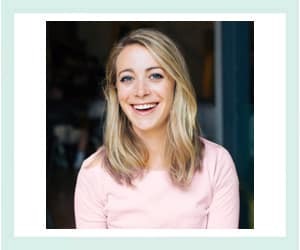 Hi Rebecca – To be honest I haven’t tried. If you do, let me know how it goes! Hi Kelly, I found you on Sarah’s blog, and glad that I am landed on your site. It’s full of great stuff. Thanks for the wonderful recipe. You have a wonderful family. I just read your about page, very impressive. Hi Bushra – Thank you so much for stopping by. I’m so glad you found my blog!